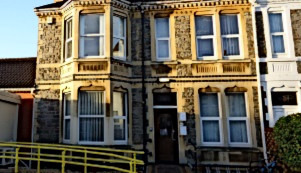 At 43 Nevil Road, Bishopston in north Bristol, we provide a wide range of health services and clinics. We have a wonderful team of staff who care passionately about our patients, our community and each other. Please ask any member of the team if you have any questions about our practice or services. We welcome all feedback and comments about our new website and our services, you can let us know what you think here. You may wish to join our Patient Participation Group. We are looking for family members, young people and Carer's. Please ask at reception or complete the form on Have Your Say section of this site.